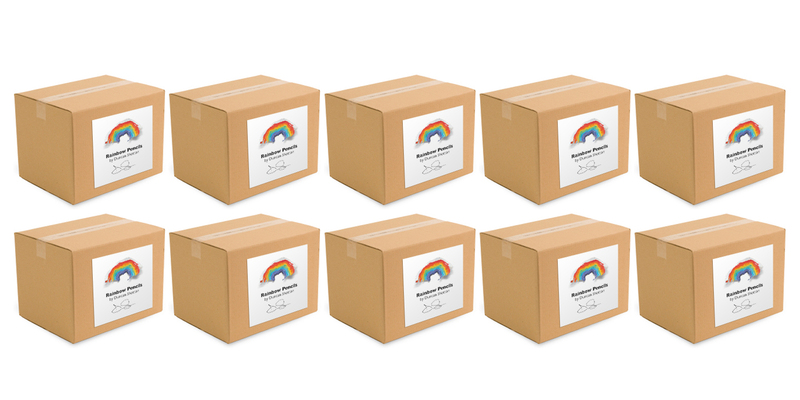 Having been successfully funded on kickstarter last year, Rainbow Pencils have now become a reality and are available to buy here, via our online shop (which contains lots of other goodies too). We’ve also started to take trade orders, selling directly to retail shops around the world. So if you have a shop, or know a nice shop that you’d like to see Rainbow Pencils stocked in, please get in touch.